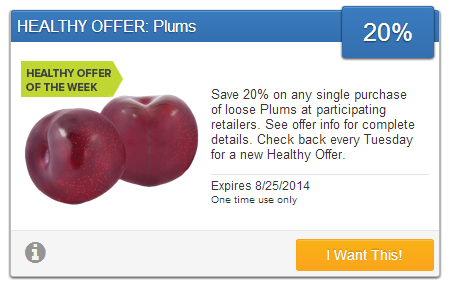 Get 20% Back on Your Plum Purchase | A Savings WOW! It’s not often you find coupons for produce, but here’s an easy way to save money and eat healthy at the same time! Save 20% on any single purchase of loose Plums at participating retailers. See offer info for complete details.